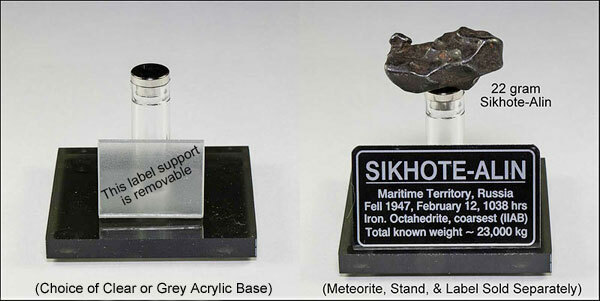 Sikhote-Alin Meteorite - The Meteorite Exchange, Inc.
Sikhote-Alin Iron Meteorites look exactly like what you would think an iron meteorite should look like which makes this the perfect first meteorite to buy. The size of the thumbprinting on these meteorites are directly related to the size of the individual mass so these resemble the large iron meteorites seen in museums but in miniature. These specimens are from a tremendous meteorite impact located in Siberia which happened in February 1947. They are coarsest octahedrites. Many small Sikhote-Alin meteorites will show surfaces that have been ablated passing through the atmosphere. These surfaces will be melted and often have blow back and a ridge of metal that formed from the metal that melted and moved back onto the rest of the individual.